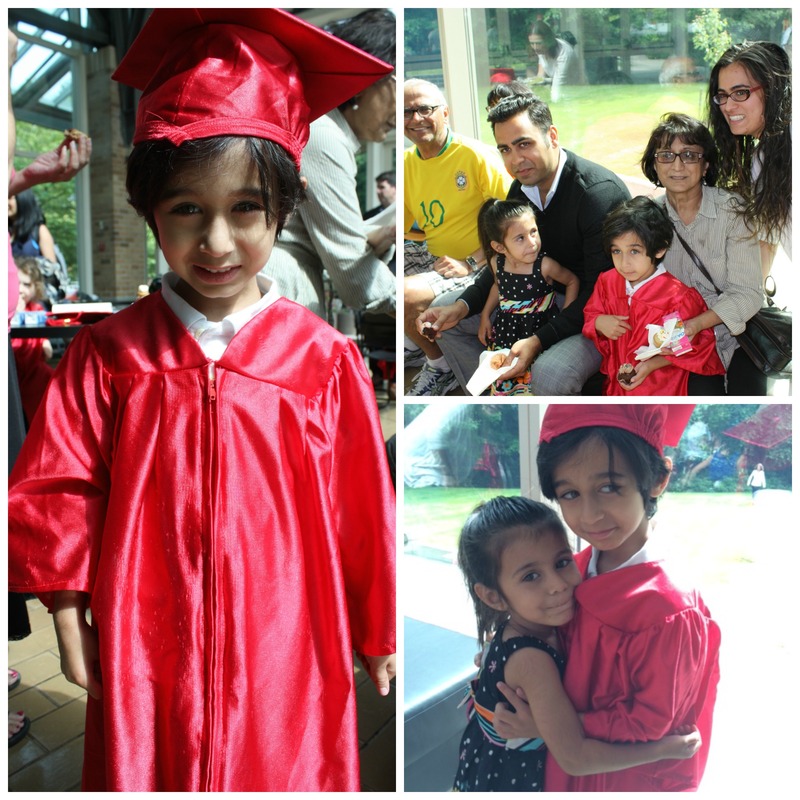 Last week we went to Keyan’s preschool graduation. It’s so hard to believe that my little guy will be starting kindergarten in September! 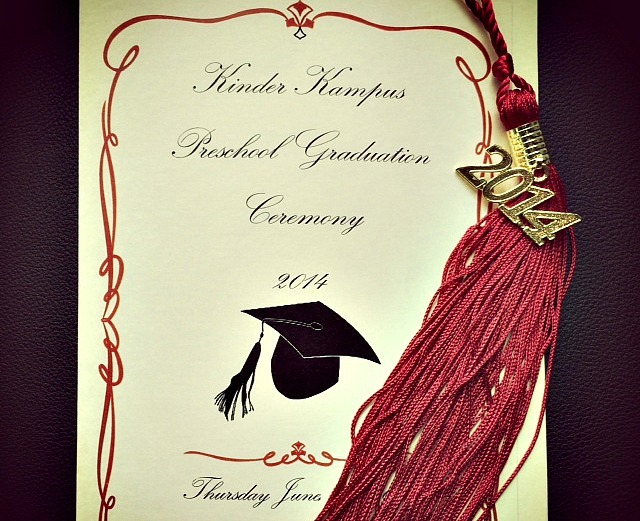 His preschool, Kinder Kampus put together a wonderful ceremony complete with a program and 2014 tassels as souvenirs. The children all got caps and gowns that they looked adorable in. Then the kids walked into the hall and went up to the stage and sang songs they had been practicing. There was a beautiful slide show with music of their year at Kinder Kampus and I’m pretty sure there weren’t too many dry eyes in the theatre. 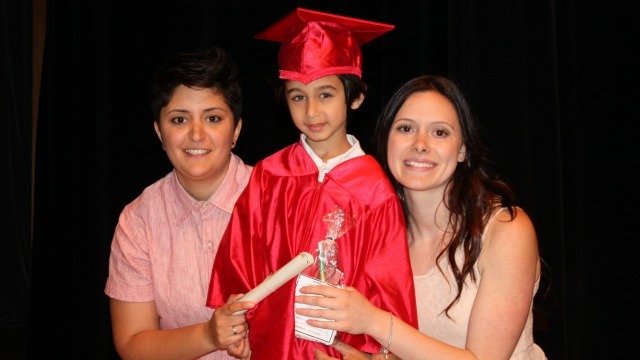 The ceremony completed with each child being called up, given their diploma and getting a picture with their teachers. After the ceremony it was time for pictures with the graduate (of course) and some treats for the kids. 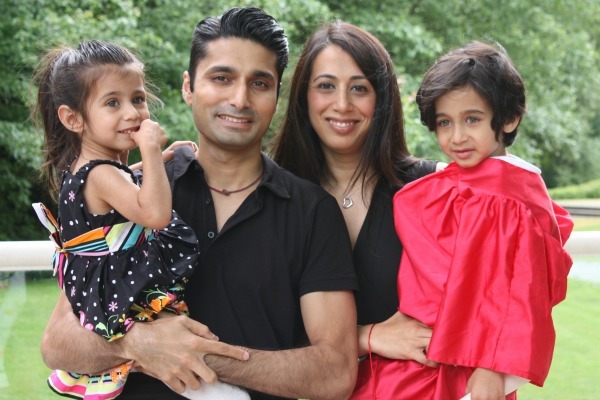 How did you feel when your child finished preschool and was about to enter kindergarten? What a beautiful family! Congrats to Keyan. I still remember going from preschool to kindergarten. I was so excited. I how he has a wonderful time next school year. Kindergarten had lots of great memories for me. Raising chickens and frogs. The most amazing widen doll house. Going to a farm and so much more. Love it!!!!!! Congrats Keyan and proud parents!!!! Your family is beautiful. I think back to this time in my life and it both seems like it was yesterday and long ago. So cute! It goes by so fast!